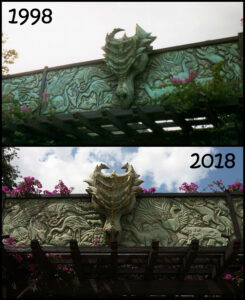 Where can I find the dragon? 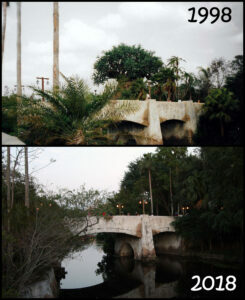 The main entrance continues to promise the guest that great dragons and other mythical creatures await them inside. 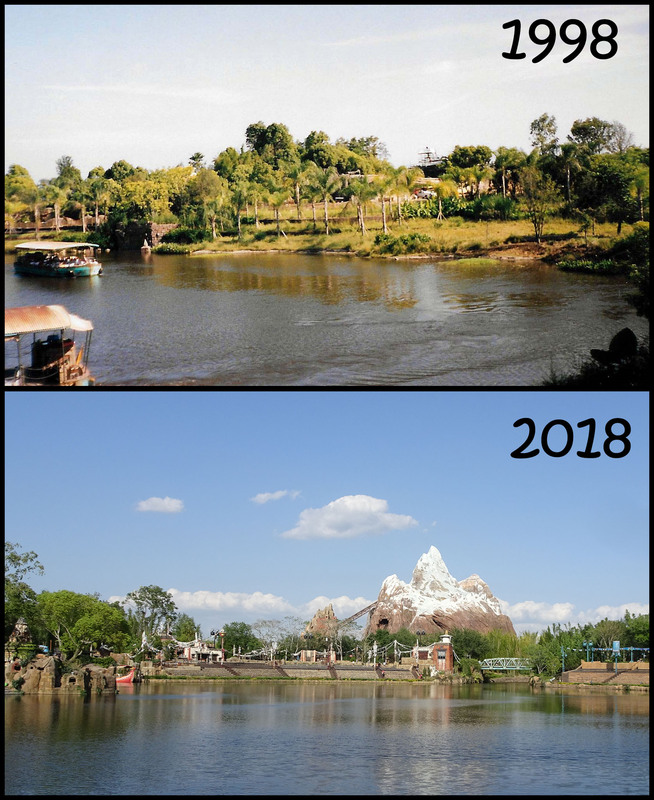 While the Yeti in Expedition Everest – Legend of the Forbidden Mountain and the banshees of Avatar Flight of Passage have joined the park in fulfilling the notion of “animals that never were”, there is no sight of a dragon. 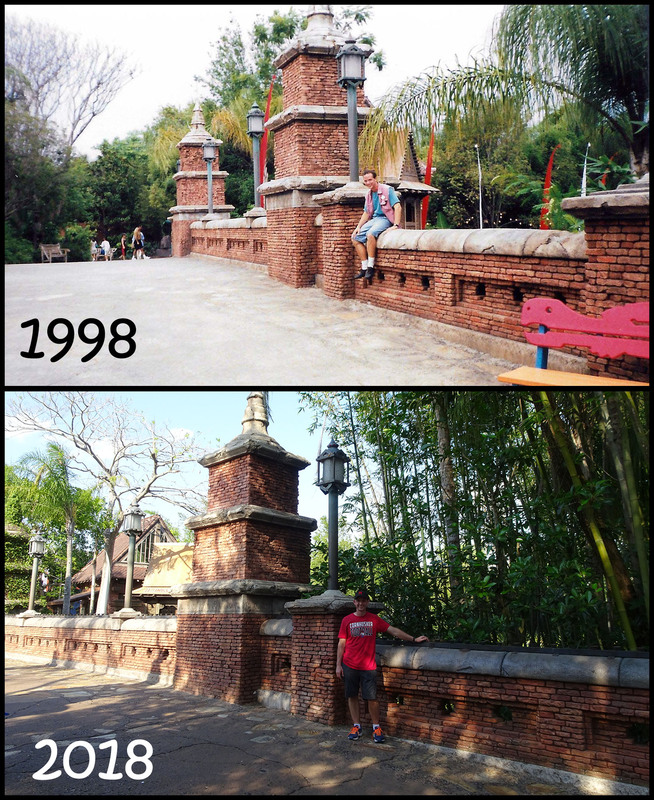 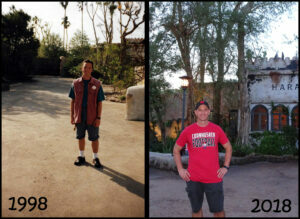 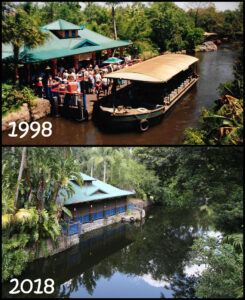 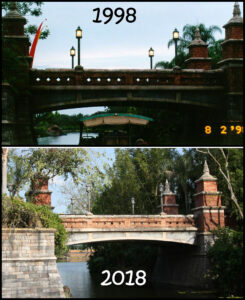 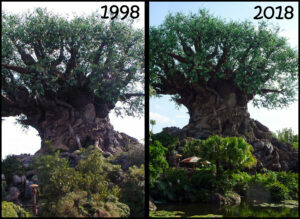 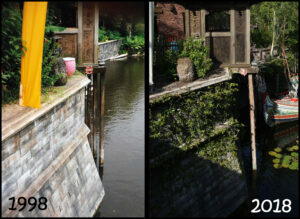 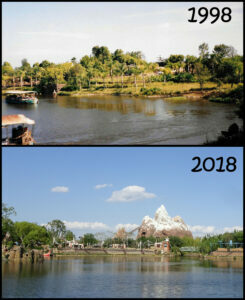 In fact, the park was closer to showing us a dragon 20 years ago along the river then it is today. 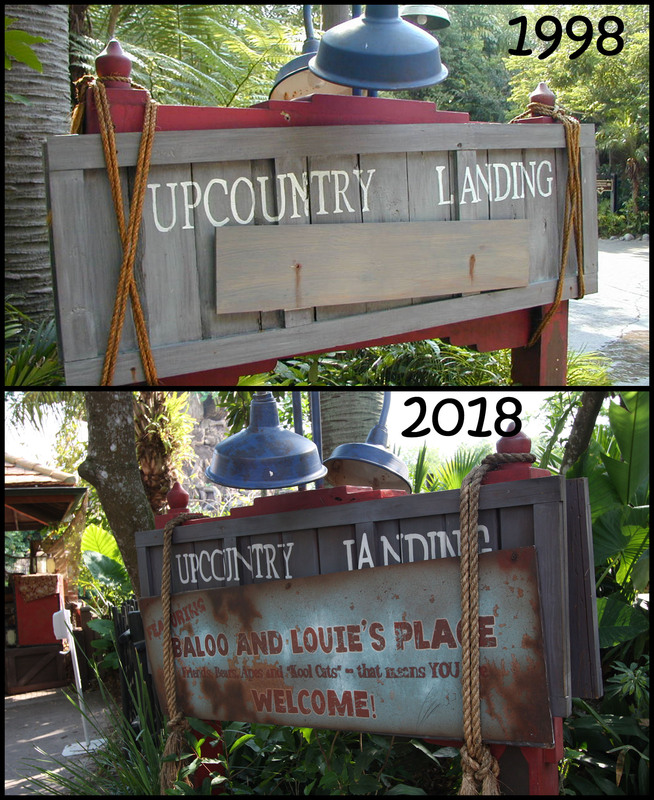 While the primary signage has not changed, the bag check in front and the magic band tap entry behind have transformed how you enter the park. The Discover Riverboats safari dock was slowly deconstructed over the years to become a meet and greet area. 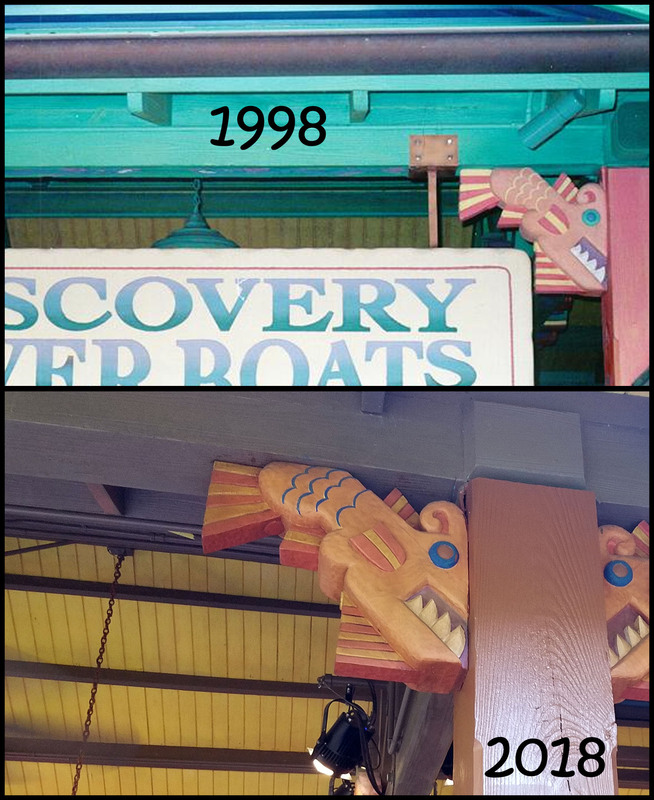 The actual dock was eventually removed, queues lines was taken out and new color schemes were given to the entire structure. 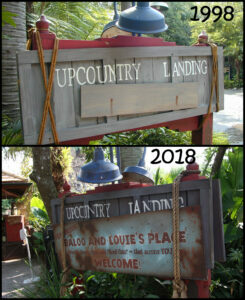 Various character Meet and Greets have come and gone. 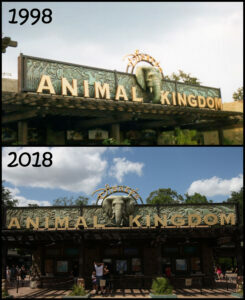 As of April 2018, Pocahontas occupies what had been a queue area. 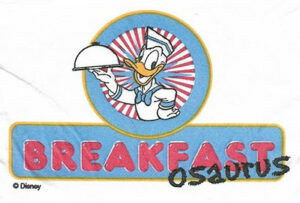 Restaurant-osaurus converted to Breakfast-osaurus in the mornings to serve as the character buffet when the park originally opened. 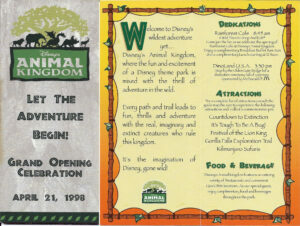 All other dining locations inside the park were quick serve, including the McDonald’s related meals at Restaurant-osaurus during lunch and dinner. 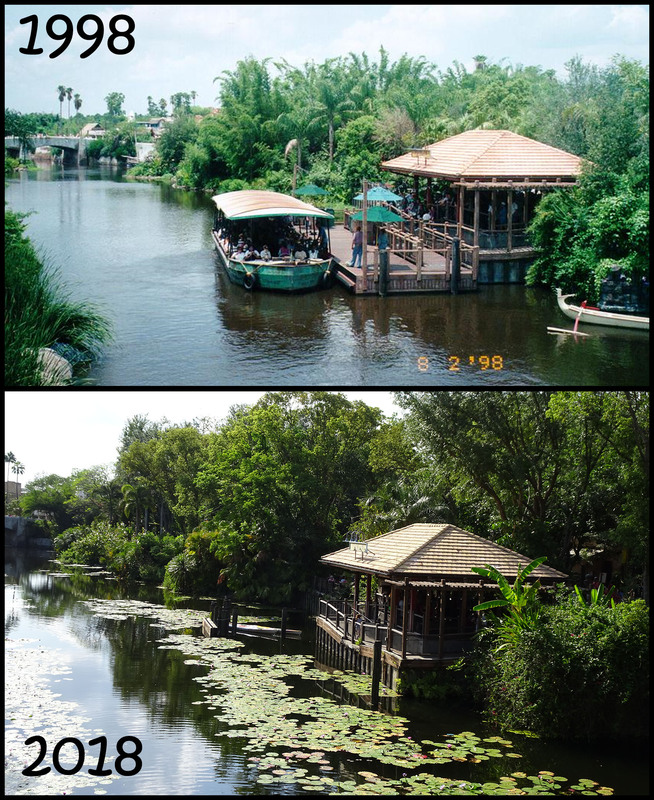 Rainforest Cafe, located just outside the park entrance, was the only full service restaurant. 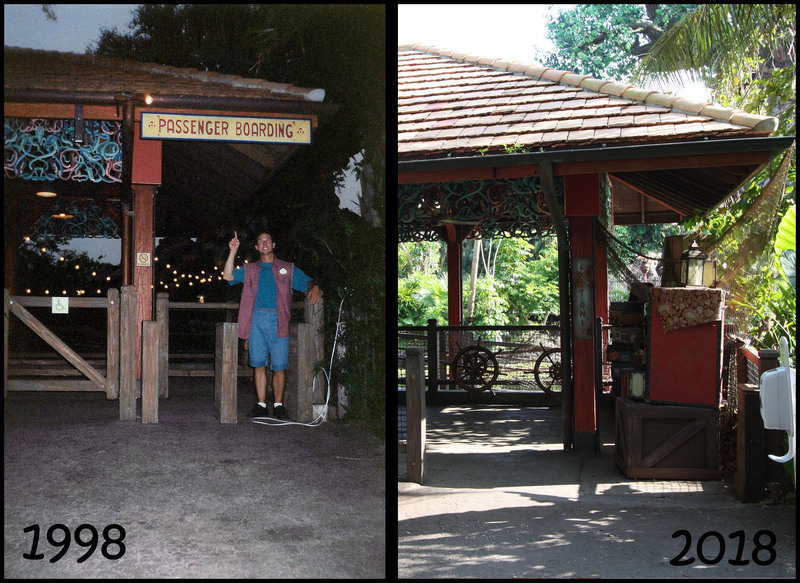 Many years later, Tusker House converted to a character buffet for all meal periods and Breakfast-osaurus was no longer. From a tent to a parking lot. 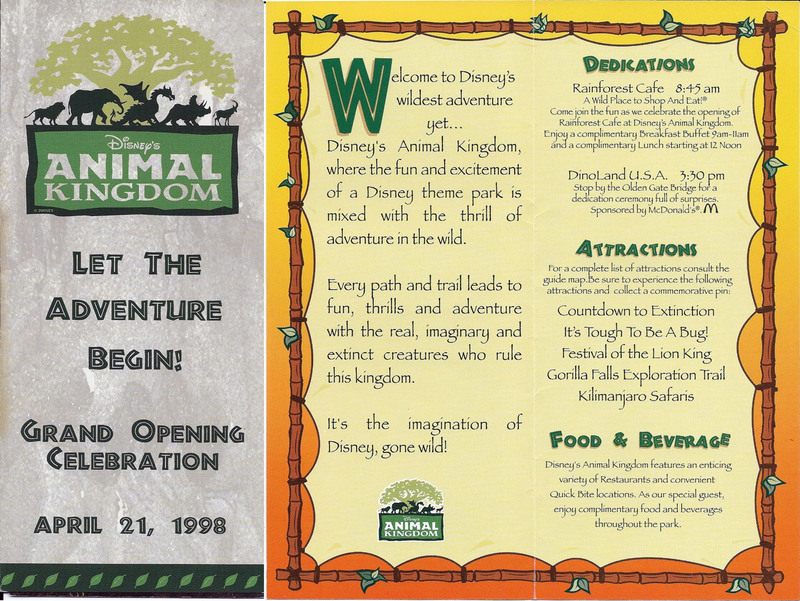 Before we had Dino-Rama!, there was the 1998 Dinosaur Jubilee, later renamed simply the Dinosaur Jubilee. The map advertised that you would “Meander through dino artifacts – see casts of real dinosaur skeletons!“. 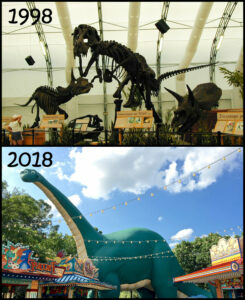 In reality, it was a very large (air conditioned) tent crammed with lots of dinosaur bone replicas. 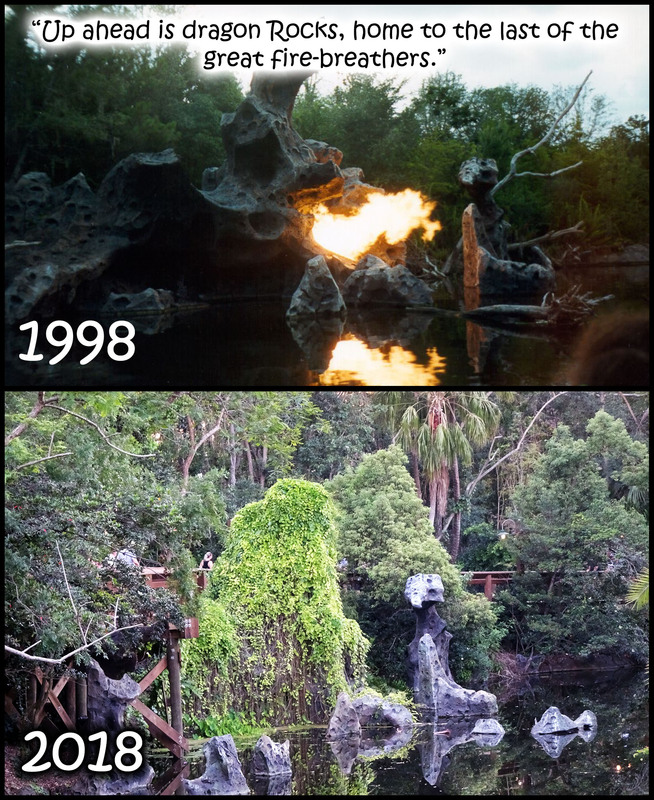 Countdown to Extinction was one of the most unique ride names ever. Unfortunately it was not to last more than a couple years. 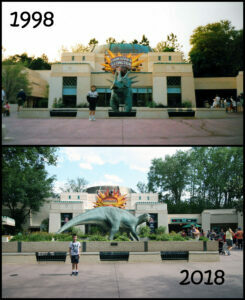 In order to tie closer with the movie, Dinosaur, the attraction and statue out front were both updated to match. 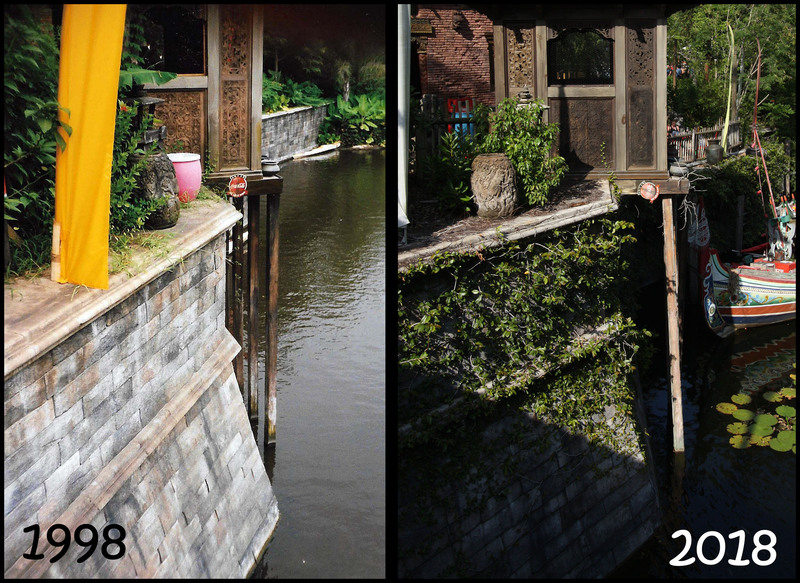 Also noticeable in the picture is a barrier that had been installed to fend off the small children that insisted on playing in the water. 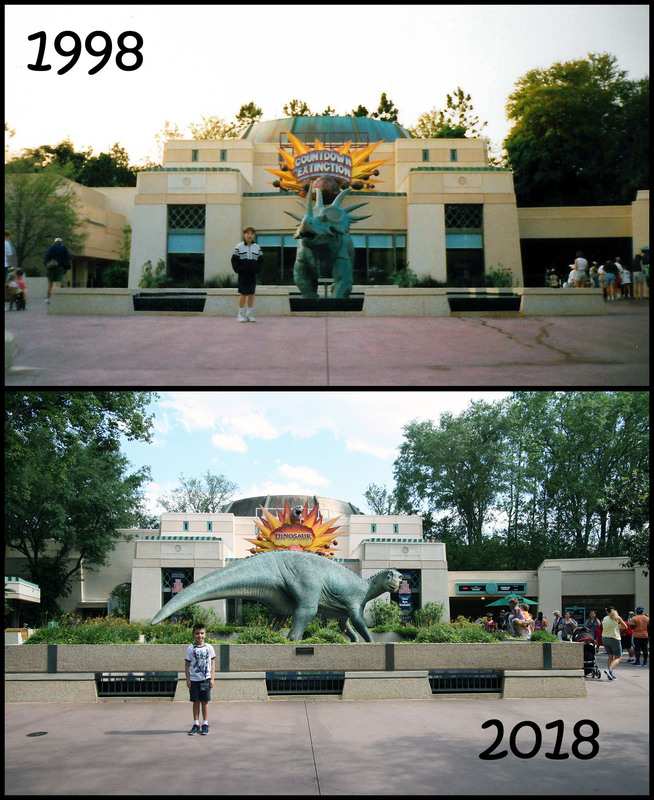 Out back of Chester & Hester’s resides a dino statue that remains to this day. 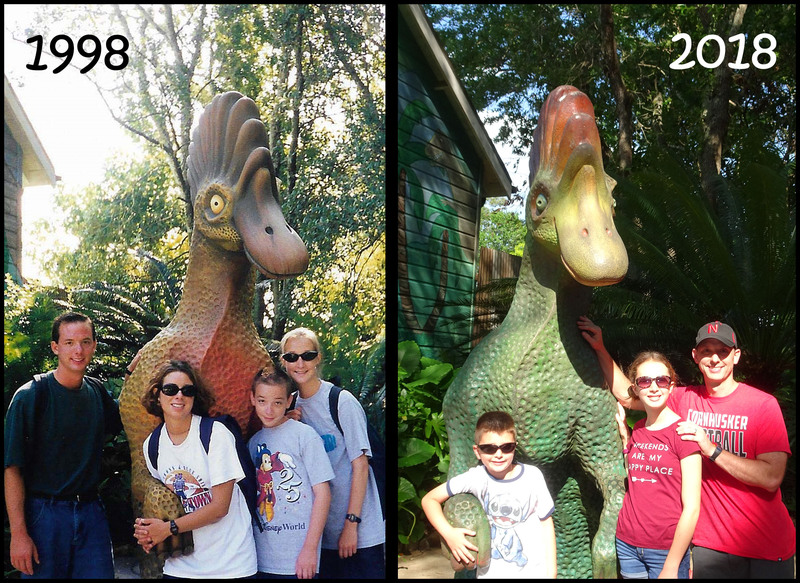 Only the colors have changed, allowing him to remain a popular photo site for folks on the way over from Countdown to Extinction (aka Dinosaur). 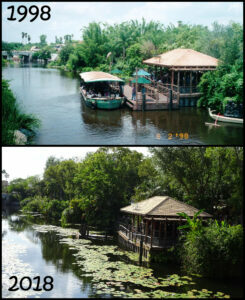 The southwest land of the park, originally planned for Beastly Kingdom, became Camp Minnie Mickey. The many budget cuts during initial construction lead to pushing out the creatures of fantasy until a later phase. 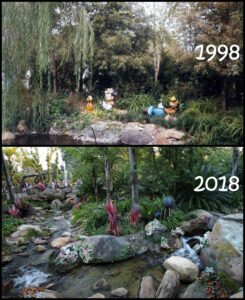 Camp Minnie Mickey was a low budget solution to filling space and providing character interactions. 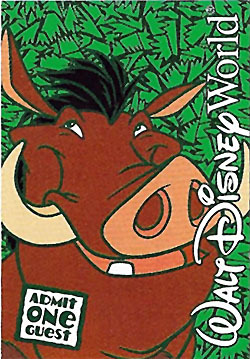 All Disney costumed characters were centralized in this one land and cast members routinely informed guests to head over. 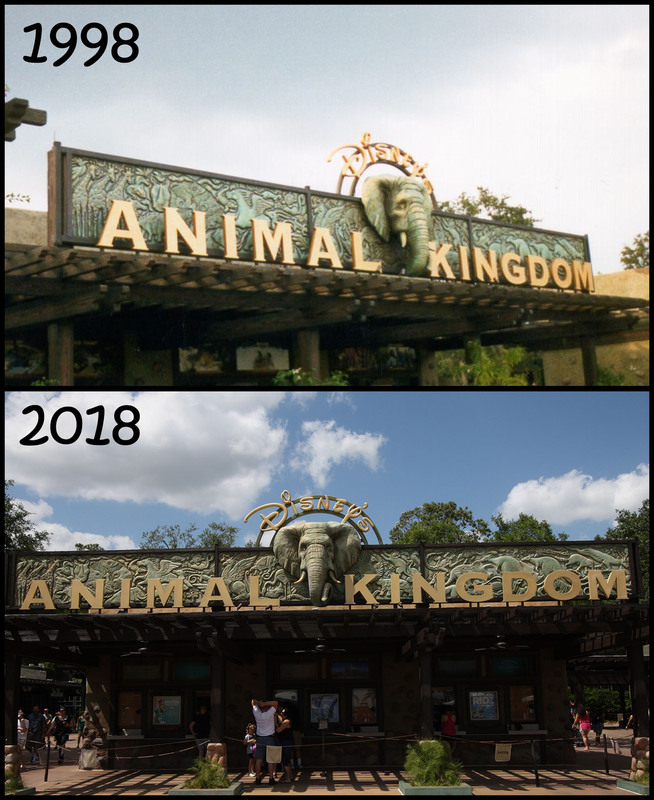 Ironically, this land became Pandora in 2017, returning the fantasy element to this section of the park. 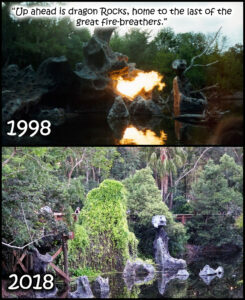 Dragon Rocks, home of the last of the great fire breathers. 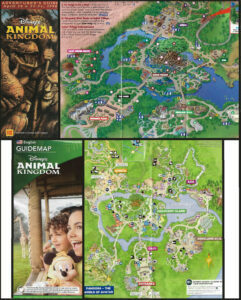 Just outside Camp Minnie Mickey / Pandora are the only remaining connections Beastly Kingdom. 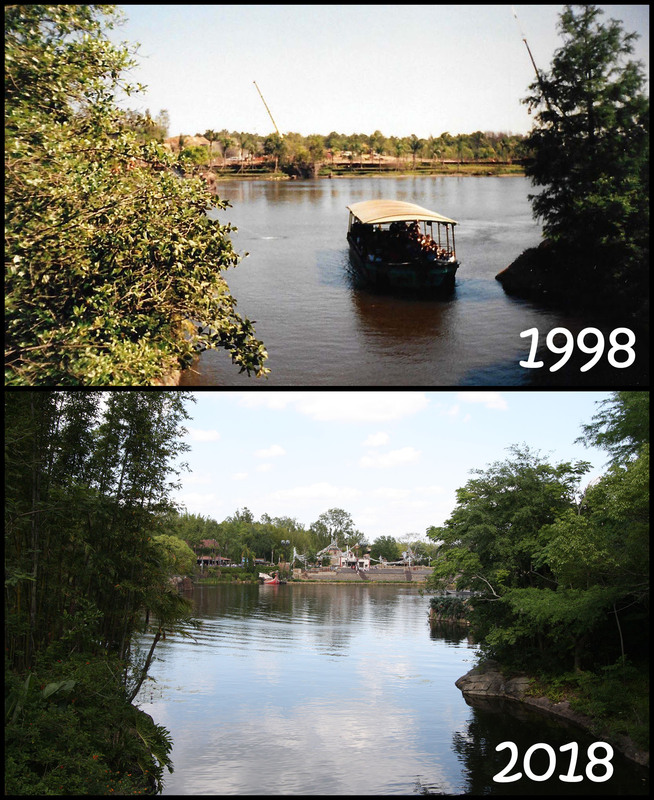 Dragon Rocks had originally roared and spat flame when the Discovery Riverboats came by during cast previews. The remains of armor from brave knights once dotted the waters outside of the rocks. 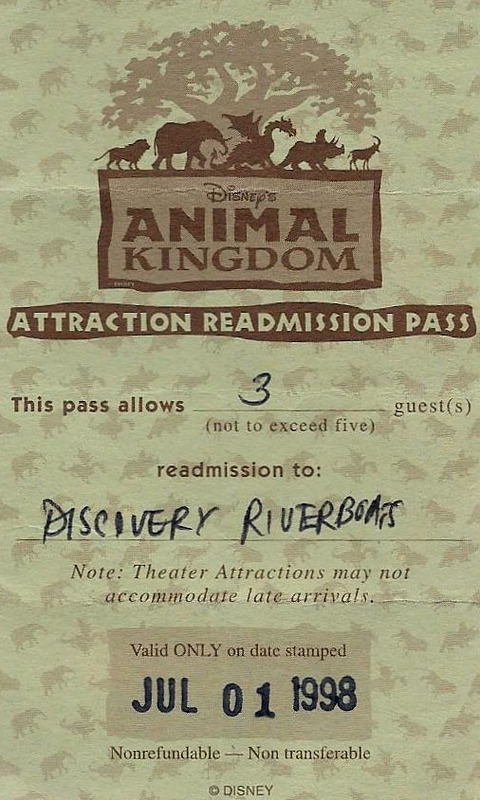 However, when the ride was changed ahead of park opening, the script wrote out the rocks, the knights armor was removed and the roar was silenced. and they were ignored. 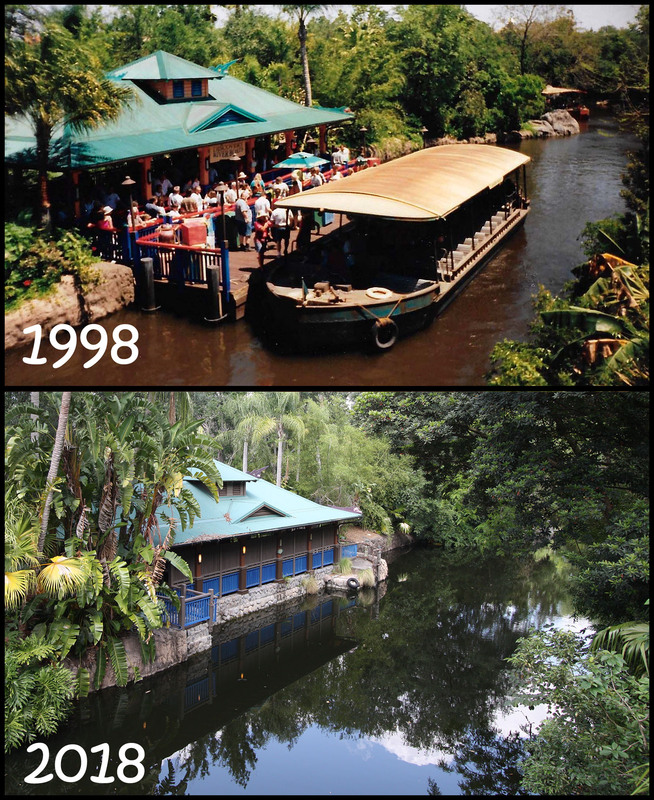 The flames made a reappearance when the ride was converted to the Radio Disney River Cruise, before shutting down for good in late 1999. 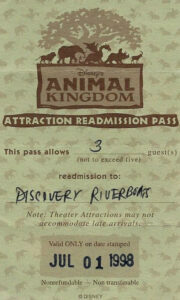 Really enjoy reading from these personal perspectives. I also enjoy the then and now visual representation of how DAK has evolved.